A few weeks back, I attended a particularly interesting talk by Andre Viljoen, entitled “Making Urban Agriculture Happen” (also the title of his forthcoming book), as part of the Carrot City Birmingham event. For those who have already taken an interest in the subject, Viljoen’s thought provoking but awkwardly named “CPUL’s – Continuously Productive Urban Landscape”, will be familiar reading. Despite having done quite a lot of research into the subject, and as recently as last summer, I was surprised at how much already appears to have changed and (pun intended) how much urban farming appears to have grown. • Food production is essential infrastructure for cities and society. • Thus the provision of food, has serious security implications (the fuel strikes of 2000, left UK supermarkets with days of food remaining). • Transportation of food is significant in light of peak oil and rising fuel prices. • The CO2 footprint for food production per household, could be excess of the use of a private car or household energy consumption (heating, electricity, etc) – figures are currently sketchy. Some of Andre’s initial examples conformed to the small-scale, Havana approach that I had in mind for urban farming. Although I’d read about Detroit’s emerging urban farms (see Guardian article here), it recently appears to have been overtaken by New York, amongst other places, as a centre for urban growing. 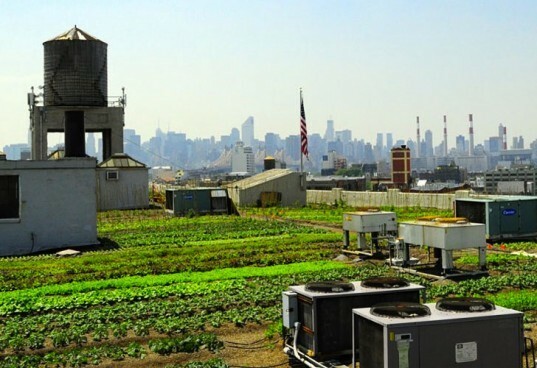 Projects such as Brooklyn Grange Farm and Gotham Greens, are typical of the community based growing projects which have developed on New York roof spaces. 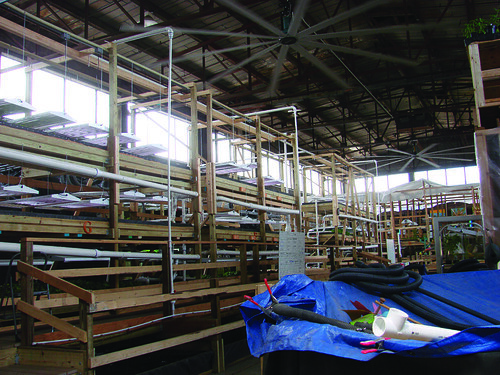 However, other organisations such as Will Allen’s Growing Power and Sweet Water Organics (both based in Milwaukee) are taking urban agriculture to a scale beyond my own expectations: with large hydroponic growing facilities that produce fresh fruit and vegetables, rear fish, covert waste to usable compost and even produce energy using solar and anaerobic digestion sources; in addition to providing healthy, affordable food, education and skills, as well as jobs to their local communities. I would suggest that those who have labelled urban agriculture as just “hipster urbanism”, should take a look at how much Will Allen’s organisations are producing, both in terms of food yields but also the much wider societal benefits (there’s a nice article here). Interestingly, I understand that Milwaukee has identified urban agriculture as a key industry for the city going forward, and are making big efforts to promote it. 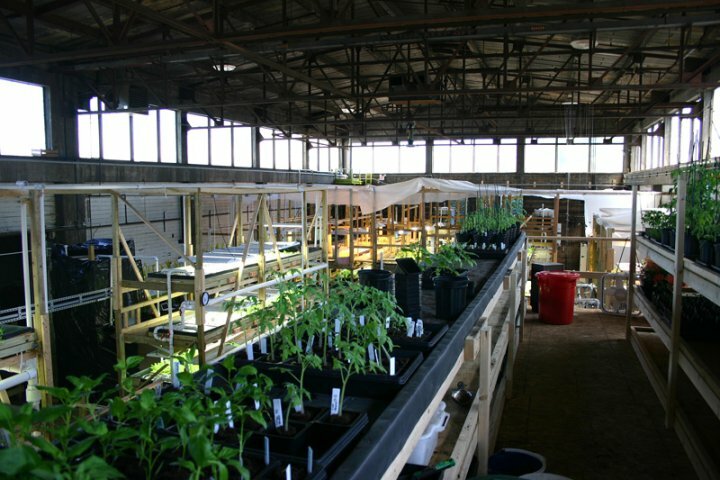 Seeing these projects convinced me that urban agriculture has an important role in future urbanism. I particularly like the fact that urban farming can work at a number of different levels; from small scale community growing projects (such as Edible Eastside in Digbeth) to much larger industrial food production, which will provide long-term sources of jobs for the urban workforce, in addition to enhancing a cities resilience and sustainability. 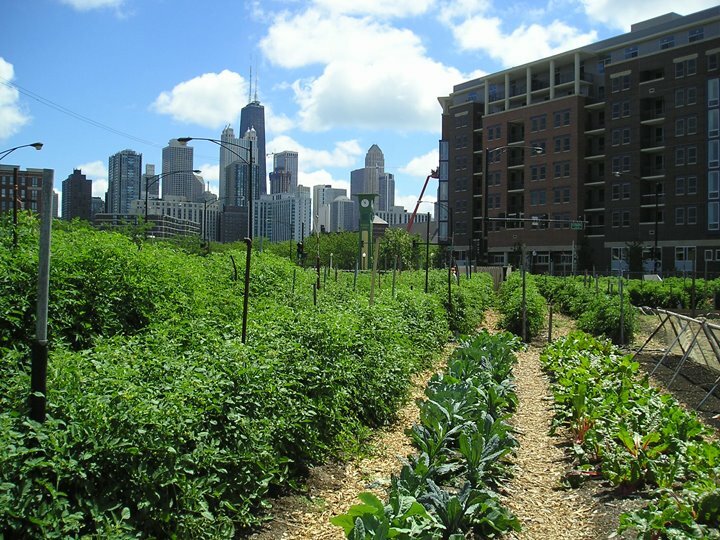 I think it also offers a challenge to the idea that vacant urban land can only be used for high-density commercially driven development, with many opportunities left for urban agriculture by stalled development and vacant plots across the country. My only disappointment is that I can see significant barriers to a more widespread adoption in the UK, particularly from the planning system. I understand that US cities, such as Chicago, are relaxing planning laws to allow the building of greenhouses and the temporary use of redundant land for growing. By contrast, UK planning is still in the grips of a massive Government led re-organisation, which included the publication of National Planning Policy Framework (NPPF), and whilst urban planning departments are increasingly squeezed by deep cuts and austerity measures. Planning is really struggling to look at the conditions currently present in the contemporary city. 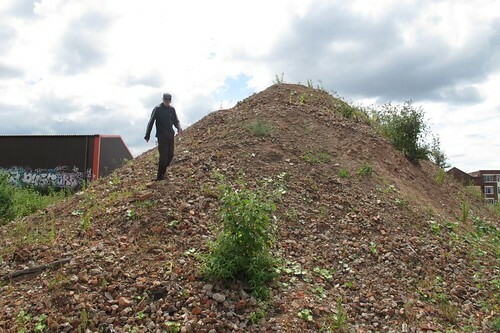 The UK has vast areas of vacant and derelict land, which are unlikely to be developed in the forseeable future, but are unnavailable for temporary or community uses, such as urban growing. It seems to me that much of the recent urban policy appears to ignore the absence of major capital for redevelopment and encourages local authorities to carry on as before, albeit against a vastly different financial backdrop. Similarly, I feel the opportunity for necessary reform has been missed, as policies fail to address the unwieldy nature of the planning system for individuals, small organisations and community interests, yet which is too easily negated and exploited by those with financial clout. I rather suspect the current approach of Birmingham City Council with it’s Big City Plan; which desperately attempts to attract major external investment and development (iconic architecture anyone? ), whilst ignoring smaller opportunities for bottom-up or incremental regeneration, is typical of the current situation. I fear that unless we see some significant change soon, the UK will continue to fall behind other nations city initiatives and will struggle to generate any sort of meaningful urban development.